You would have to be naïve to believe that evil exists, right? If you were asked to come up with examples of evil villains, you might think of the Emperor from Star Wars, Lord Voldemort from Harry Potter, or even Dr Evil from the Austen Powers films. Evil characters belong in horror movies, fantasy fiction and perhaps also in religious texts, but surely not in the real world. This kind of scepticism about evil also crops up in serious disagreements over morality. When US President George W. Bush denounced the September 11 terrorists as evildoers, many people rolled their eyes and dismissed his claim as simple-minded and out-of-date. The philosopher Phillip Cole, the psychologist Simon Baron-Cohen and the historian Inga Clendinnen have suggested that we ought to drop the concept of evil. These thinkers are not sceptical about morality as a whole. They are not suggesting “it is all relative”, or that morality is some kind of sham or illusion. Their scepticism is focused on the category of evil in particular. Are they right to say that there is no such thing as evil? What do we mean by evil? In answering this question we must survey the claims people make about evil, and ask what these people take evil to be. While it is true that the word “evil” can be used to refer to a malevolent supernatural force, many of us use “evil” without intending it to have any supernatural connotations. We might say the sadistic torture carried out by members of the US military at Abu Ghraib was not merely wrong but evil, and that serial killers such as Dennis Rader and Ted Bundy are not merely morally flawed or corrupt, but are evil. Hannah Arendt famously declared that the trial of Nazi war criminal Adolf Eichmann revealed the banality of evil. While there is some disagreement about what Arendt meant by this, no-one thinks she was suggesting that Eichmann was possessed by a banal demon. In judging that something is evil, we are making a distinctive kind of moral judgement, rather than committing ourselves to a contentious supernaturalistic worldview. Believing in the reality of evil is like believing in the reality of greed. When we say that greed exists, we don’t think there must be some free-floating force called greed that can enter someone’s body and control his or her actions. If there are any greedy actions or greedy persons, then greed is real. Similarly, if there are any evil actions or evil persons, then evil is real. You might grant this point, but remain sceptical nonetheless. You could claim that when people judge that something is evil, they make moral assumptions that are not only mistaken but dangerous. While there is clear evidence that some actions and some persons are greedy, there is no evidence that anything or anyone is evil, or so the argument goes. But what exactly do we assume when we judge that sadistic torture is evil, or that Ted Bundy is evil? Many contemporary philosophers agree that if an action is evil it must be morally extreme. It is morally wrong to shoplift, or to tell a lie to avoid jury duty, but to call those actions evil would be hyperbolic. Moreover, philosophers agree that if an action is evil the person who performed that action should not have done so, and is responsible and blameworthy for having done so. There are interesting disputes to be had over whether violent psychopaths are morally responsible for their actions, or whether they are mentally ill and hence not blameworthy for what they do. If psychopaths aren’t responsible for their actions, then they are not evildoers. But, even if we agreed that psychopathy counts as an excuse, this would not give us grounds to deny the existence of evil actions. Plenty of extreme wrongs, including atrocities committed during war, are performed by comparatively ordinary people rather than by psychopaths. Since there are many examples of inexcusable extreme wrongs, we ought to conclude there are many evil actions. In this sense, evil is real. The question of whether anyone counts as an evil person is more difficult to answer. Consider an analogy: not everyone who performs an honest action counts as an honest person. If someone is an honest person, honesty is part of his or her character. He or she can be relied upon to be honest when it counts. Someone who tells the truth on some occasions might nonetheless be a characteristically dishonest person. Similarly, not everyone who performs an evil action counts as an evil person. In judging that Hitler was not only an evildoer but an evil person, we assume that evil was part of his character. That’s is not to say we assume he was innately evil, nor that he had no choice but to do evil. Rather, it is to say he came to be strongly disposed to choose to perform evil actions. 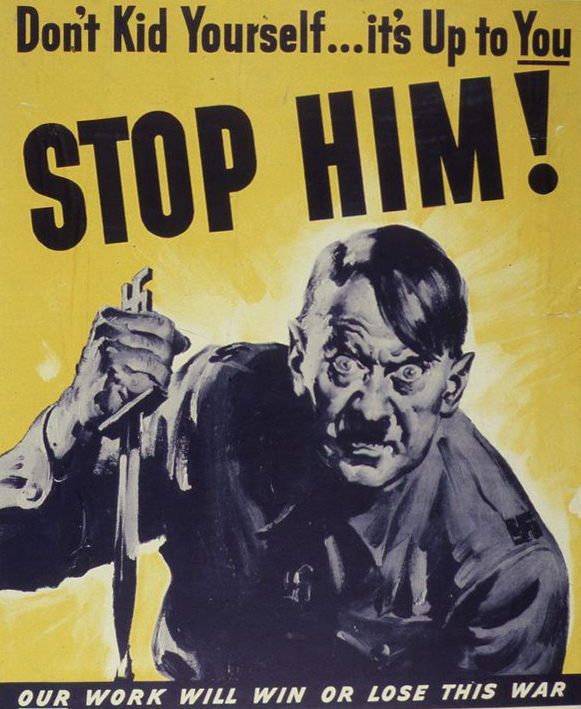 In calling Hitler an evil person, we suggest that he could not be fixed, or made into a good person. Once someone has become an evil person, he or she is a moral write-off. That’s why some philosophers are sceptical of the idea that any actual person is evil. If everyone can be redeemed and made good, then no-one is evil. I think it’s overly optimistic to think that we could have fixed Hitler, or Ted Bundy, or Dennis Rader, so I conclude that evil persons, as well as evil actions, are real. Luke Russell’s book Evil: A Philosophical Investigation is published by Oxford University Press.